Fourteen-year-old Rilka is an outsider, unsure of her future in a tribe afraid of the unconventional or daring. 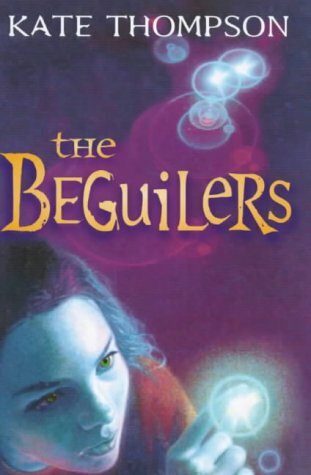 At her village meeting she announces her Great Intention - to catch one of the 'beguilers' who haunt and terrify her people. With the help of new friends, she succeeds in her task, discovering much else on the way. My tester found this harder-going than I did, perhaps because the first-person narrative is introspective and rather dense. Much about the imaginary tribal culture, set in an unspecified time, is left unexplained, but a very vivid picture is created nevertheless, and Thompson's empathy with young teenagers going out into the world, a recurring theme of her books, is evident.